December 3rd kicks off Computer Science Education Week 2018! Computer Science Education Week is held in early December every year in recognition of the birthday of computing pioneer Admiral Grace Hopper. Alongside this is the Hour of Code promotion where schools throughout the world get students to try at least 1 hour of programming at some point during the week. 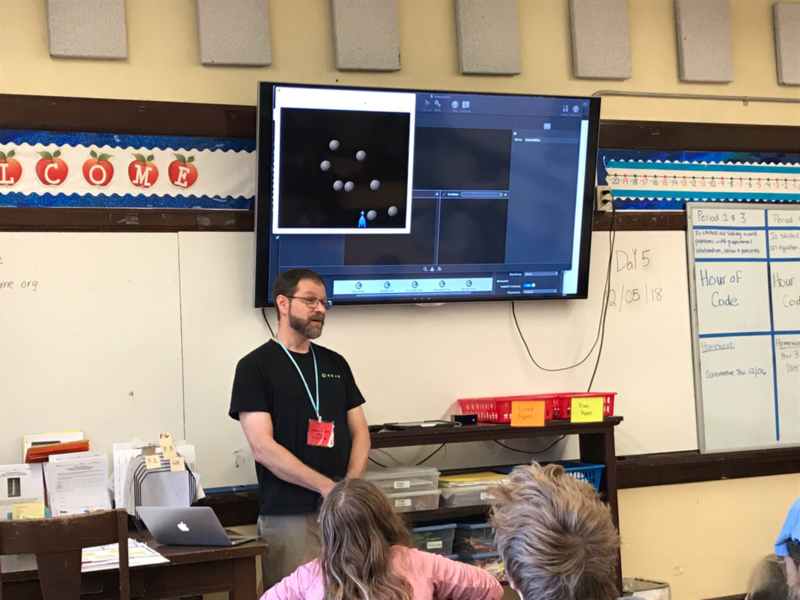 Each year for Hour of Code, I volunteer at the local Middle School to talk to the students about what it is like to be a programmer and do a little bit of programming. 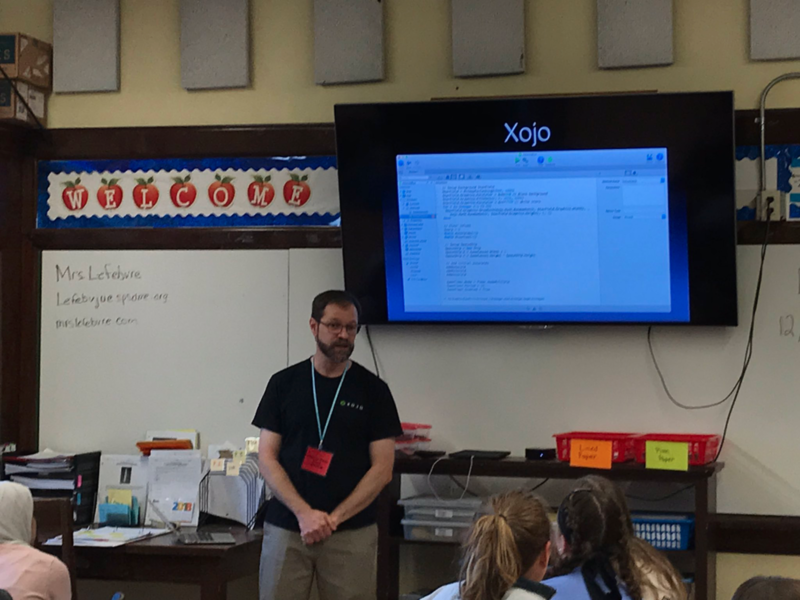 This year I plan to demonstrate Xojo Dojo with a Raspberry Pi and show the kids how much fun coding and Xojo programming can be. My wife teaches 7th grade math so I have a somewhat receptive audience, at least when it comes to middle school students. Of course, I’ll be sure to show off a few games made with Xojo. Asteroid Run was popular last year. As Xojo developers you have a great perspective on coding, which would be wonderful to share with the youth of today. Most schools would absolutely welcome a guest speaker for a day so if you have a child in school or know someone that works at a school, I encourage you to see if you can help out by volunteering. Finished hour of code with 7th Grade students. They were very excited to learn a bit about coding and see some Xojo-made games. 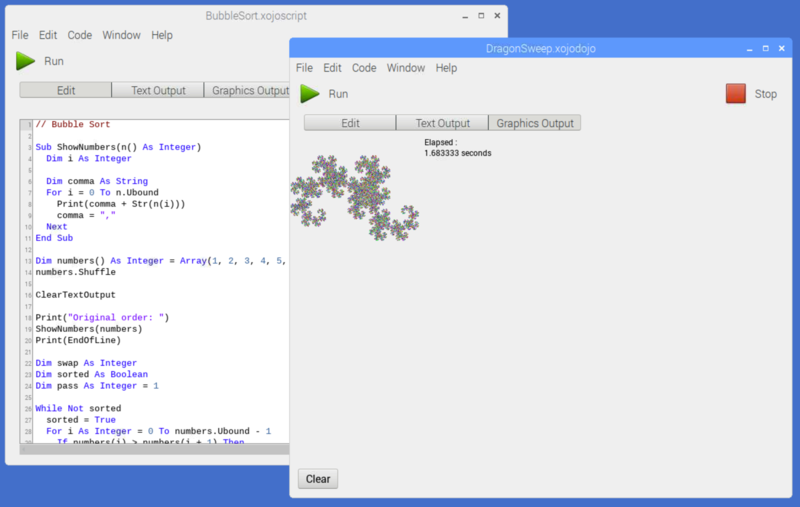 Also, Xojo Dojo is now available for Mac and Windows. Download either of these from the main Xojo Dojo page. Next Post Are your macOS apps ready for 64-bit?